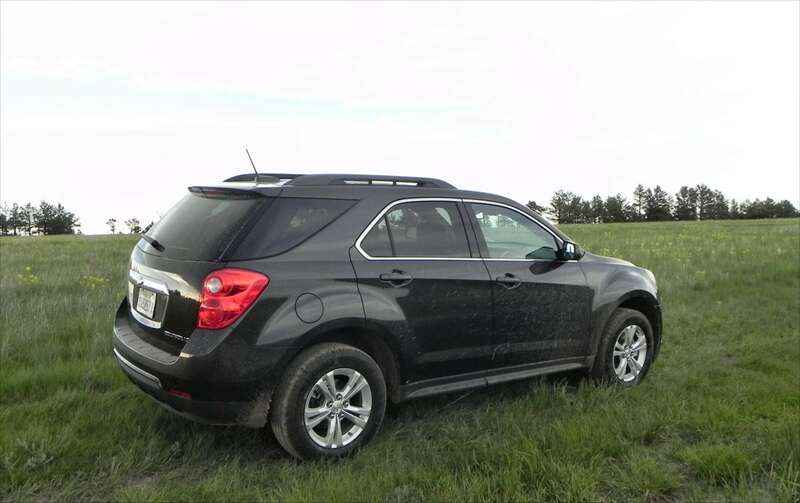 The 2015 Equinox is long in the tooth by automotive terms, having not been redesigned since 2010. A refresh is coming next year, but for 2015, the Equinox hasn’t lost its charm. Age may be creeping up, but like a beautiful lady, the things that make her worth spending time with are still there. 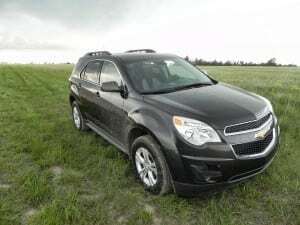 The 2015 Chevrolet Equinox is a good-looking crossover with a strong, confident look that comes from its flared fenders, short hood line, and forward thrusting rear pillar. 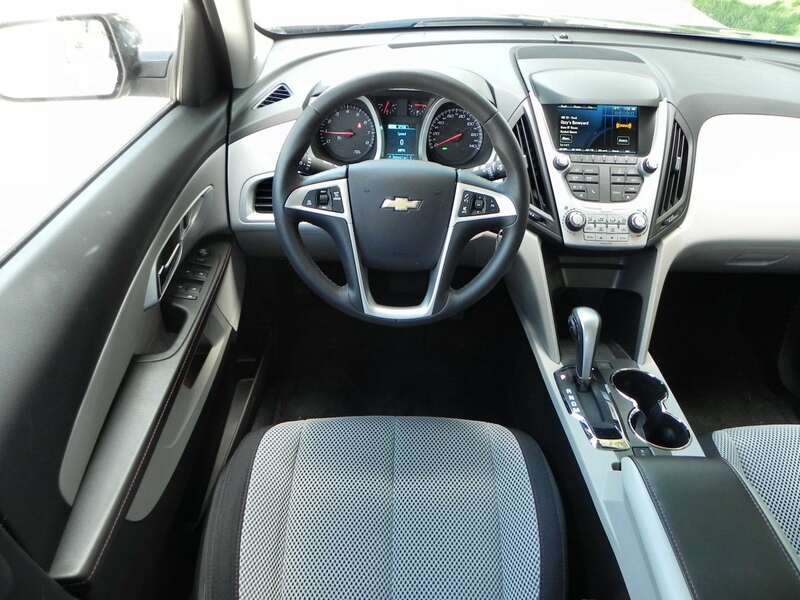 Inside, the 2015 Equinox has a smart interior that almost contradicts that outer look, offering comfort in a plush, but not ostentatious way. This doesn’t mean that the Equinox is perfect, though. 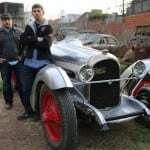 A few points such as a high price tag compared to rivals, a lackluster four-cylinder base engine, and a relatively small cargo compartment are downsides that some consumers may see as deal breakers. To offset this, however, excellent safety ratings and a strong reputation for dependability are core to the Equinox. For the potential buyer, the 2015 Equinox offers a maturity and confidence that cannot be found in most rivals. 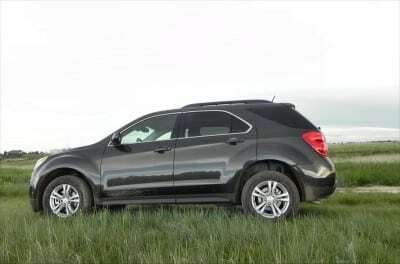 That, combined with its great looks and excellent interior, seem to be what keeps this crossover on the road despite newer, younger, and more value-oriented competition. 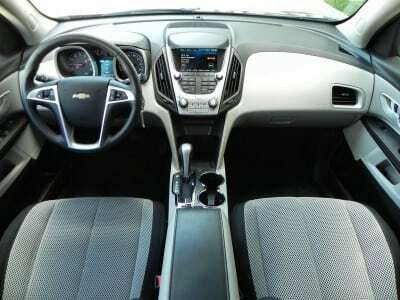 The primary strengths of the 2015 Equinox are its great looks and its excellent interior. The front seats are very comfortable and seating is roomy. Whether the trip is short or long, the Equinox’s front seats are amazingly forgiving. In the rear, this remains surprisingly true as well. 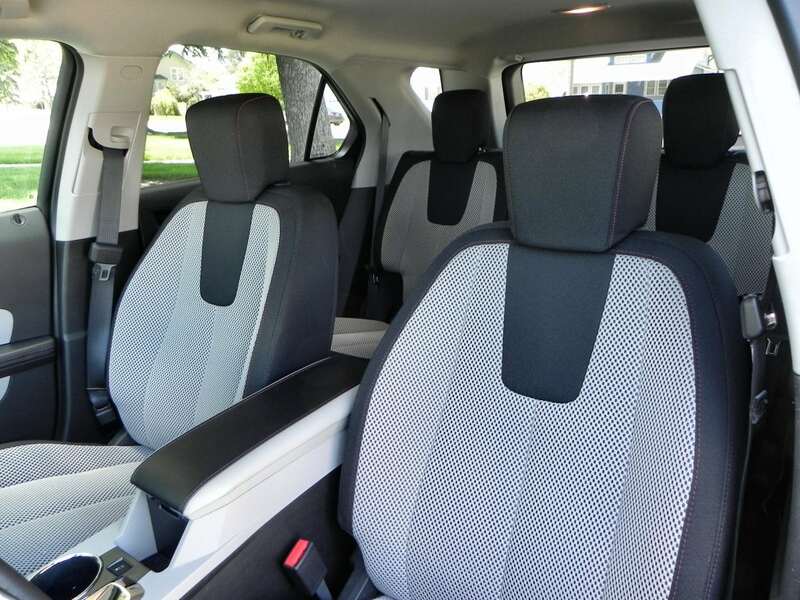 The rear seats in the Equinox have both tilt and slide adjustments – a rarity in this segment. They are also very roomy and accommodating, even for tall folks. 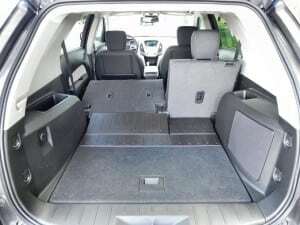 All of this comes with the loss of cargo space, though. 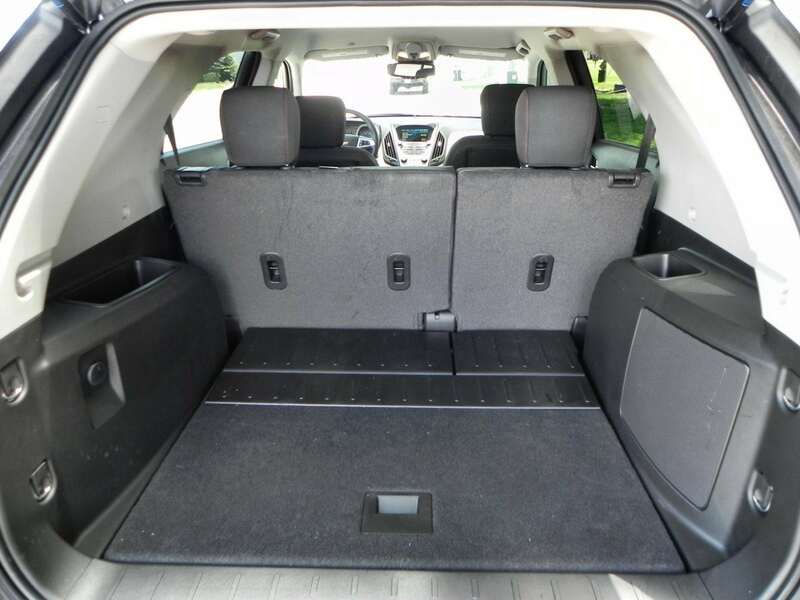 The cargo area is much smaller than the average for this segment, at just 31.5 cubic feet with the rear seats up. With the rear seats folded, this expands to a much better 63.7 cubic feet, but that’s still about 20 percent less than the segment-leading CR-V offers. We do note that it’s not far from the par for the market, though,with most hitting in the 65 cube range. Knowing that, it’s important to realize that the cargo space in the 2015 Equinox is accessible and usable for everyday needs. We think that the reason this smaller space is not a deal breaker for so many is that unless you haul a lot of big items often, it’s not a concern. The cargo space in the Equinox is just about right for weekly groceries and occasional luggage to the airport duties. 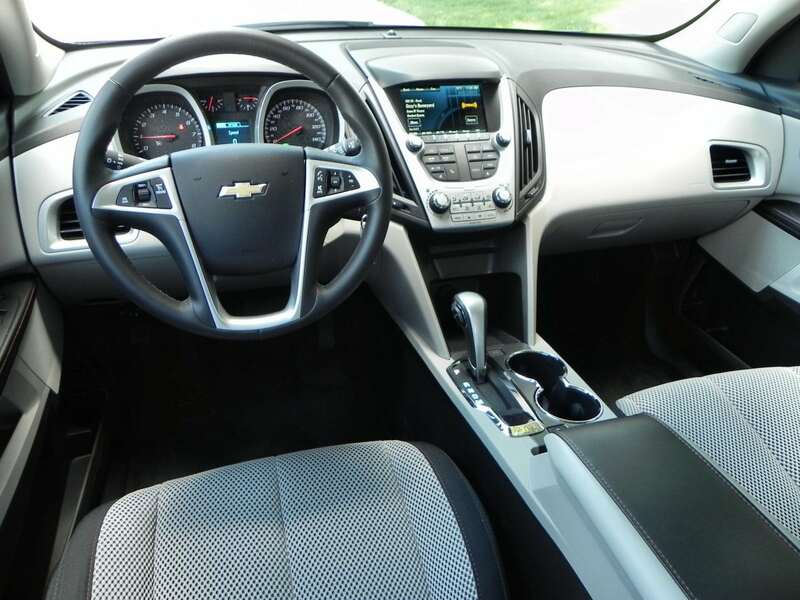 Finally, upper trim levels include the MyLink system, which is a great infotainment system. Its learning curve is a bit lower thanks to the smartphone-like gesture-accepting interface. Most things are straightforward and easy to do, though it does sometimes take an extra moment to respond. The base engine offering in the 2015 Equinox is a 2.4-liter four-cylinder that outputs 182 horsepower and 172 pound-feet of torque. This runs through a six-speed automatic transmission in front-wheel drive with an all-wheel drive option. The EPA rates this engine at 26 mpg combined in FWD and 23 mpg combined in AWD. Real world results will not likely be that good as the four-cylinder struggles up hills, on the highway when passing, and in other situations where it’s being taxed. 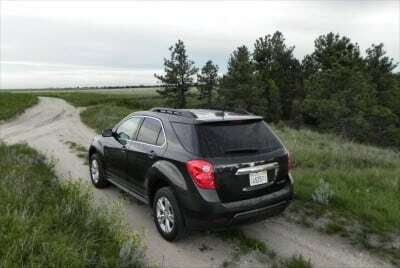 Our time in the four-cylinder, all-wheel drive version last year proved that the transmission often does overtime trying to keep up by shifting often to make up for the four-cylinder’s struggles. 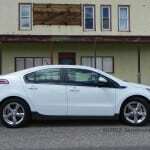 Our fuel economy after a long road trip made up mainly of highway and freeway driving returned a dismal 20 mpg overall. In the V6 option, however, all of that changes. This year, we drove the 3.6-liter V6, which outputs 301 horses and 272 lb-ft of torque. Speed and capability are far better with this engine, which also uses a six-speed automatic transmission. 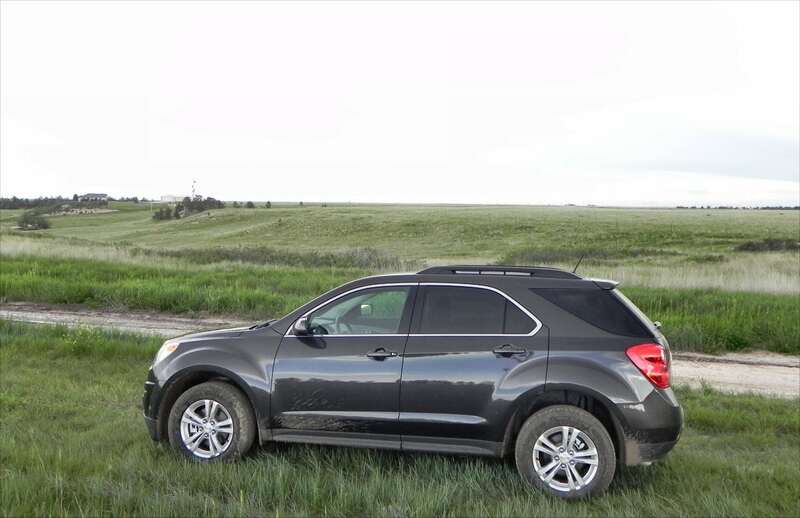 Towing is rated at 3,500 pounds when a V6 Equinox is properly equipped. 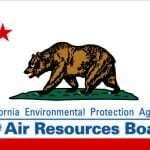 The EPA gives the FWD V6 a 20 mpg combined rating and the AWD V6 a 19 mpg combined rating. These are sub-par for the class, but realistic and achievable. 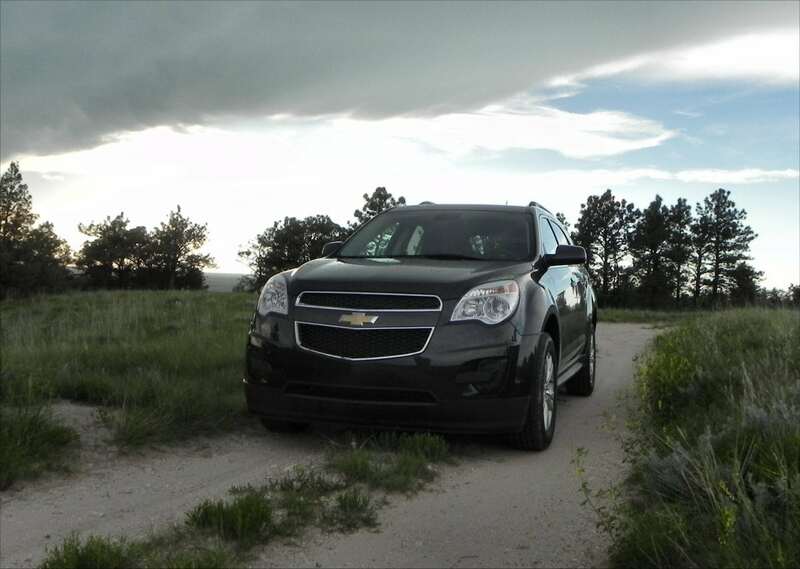 Our week in a 2015 Chevrolet Equinox AWD LTZ model returned just over 18 mpg overall. It’s our opinion that despite the fuel economy losses, it’s worth the $1,500 premium to upgrade to the V6. If fuel economy is your top priority, look to another crossover instead. Out on the road, the 2015 Chevrolet Equinox is a solid ride with an uninteresting, but stable driving experience. 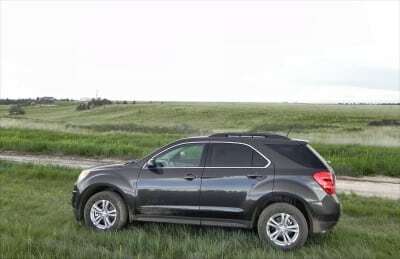 A mushy steering rack means that there’s little joy in piloting the Equinox around, even with the peppy V6, but the majority of drivers will find it comfortable and well-mannered around town and on the highway. 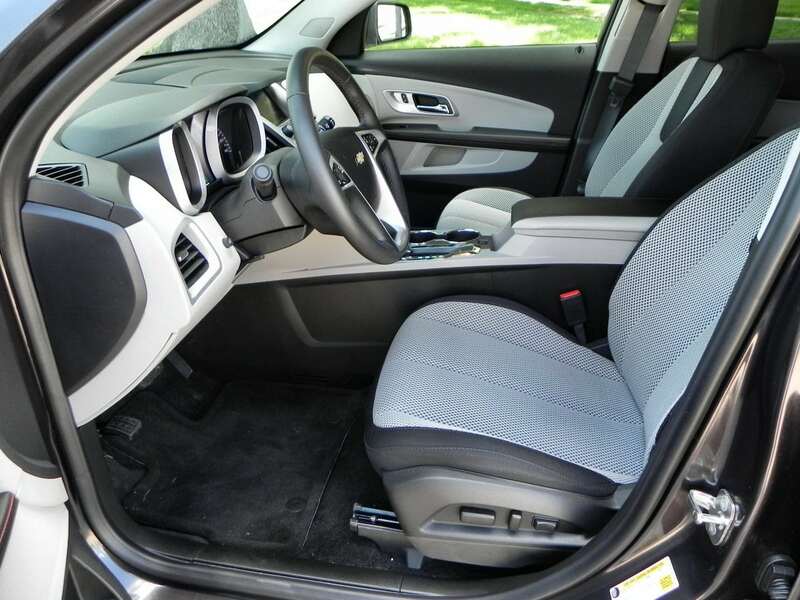 This dead fish steering does mean that the Equinox can be less spry in the parking lot, but every trim except the base LS includes a backup camera as standard. 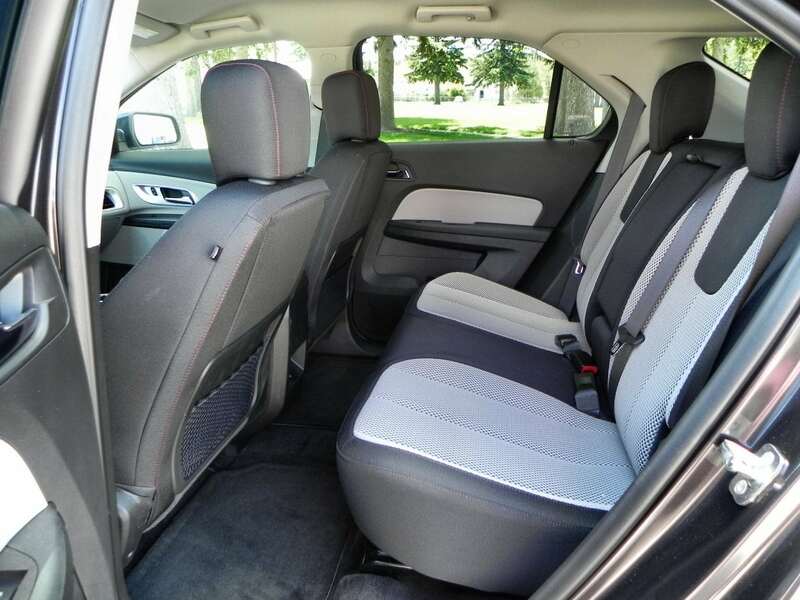 Consumers will also note the very high safety ratings the Equinox achieves, including on the sometimes difficult small-overlap front-impact crash test from the Insurance Institute for Highway Safety (IIHS). 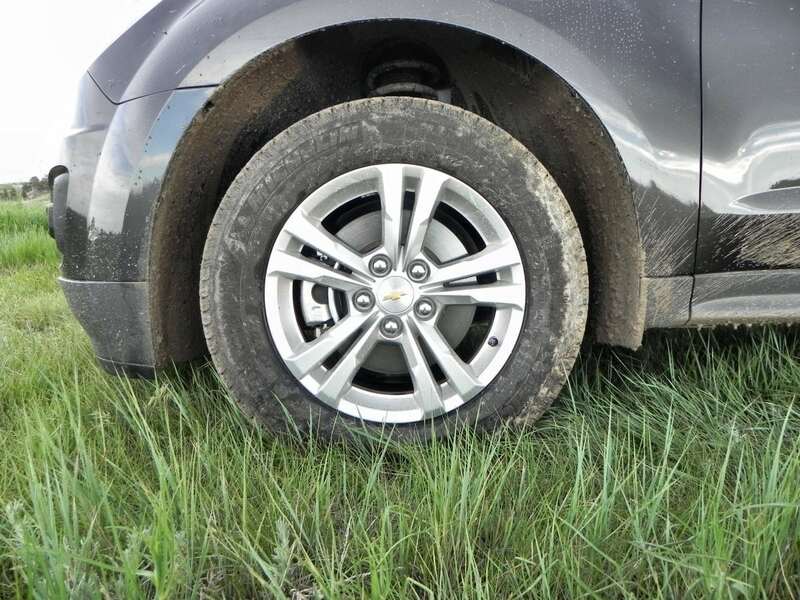 Only a couple of rivals can boast better scores than the Equinox in crash testing. The field of competitors in the small to medium crossover market is thick with great contenders. 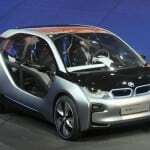 This is the fastest-growing segment in the automotive market right now and manufacturers are bringing their best and brightest to the field. Of note are the Nissan Rogue, which is so far our top choice in the segment, and the surprisingly excellent Hyundai Santa Fe. The top-selling Honda CR-V is also worthy of note, as is the fun-driving Mazda CX-5. 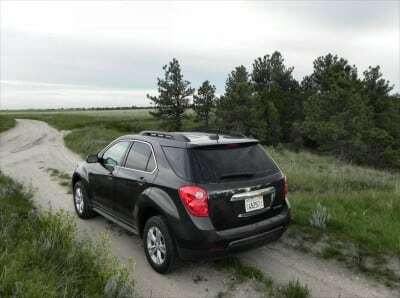 Finally, the extra-capable Jeep Cherokee and efficient Ford Escape round out this list. 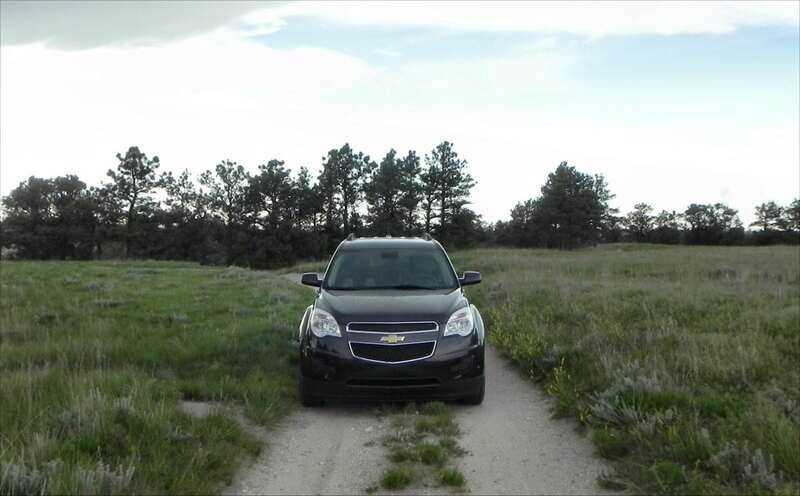 It’s tough to stand tall as the oldest in the bunch, but the Equinox has its appeal. Poor performance from the four-cylinder base engine. Small cargo space compared to rivals. 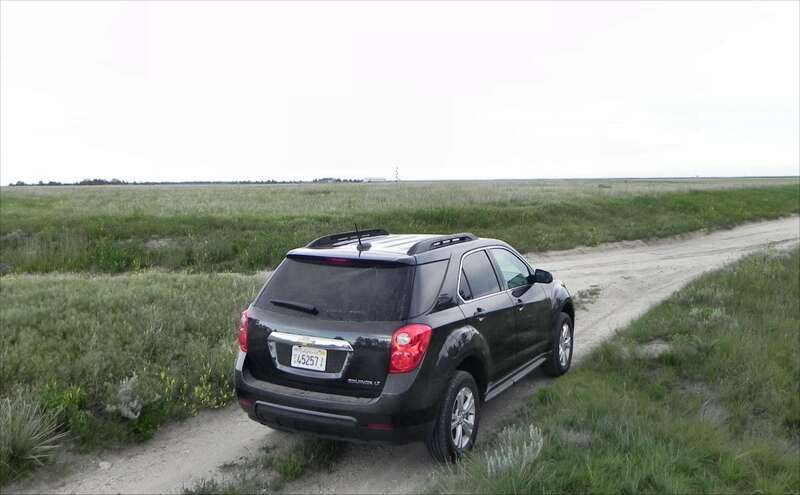 The Equinox is not for everyone, but for many, it’s a great one. It’s age has both advantages and disadvantages, depending on the consumer’s expectations and need. Others have more style, better ergonomics, higher fuel economy, and so forth, but the 2015 Equinox delivers stability and refinement that many might be missing. 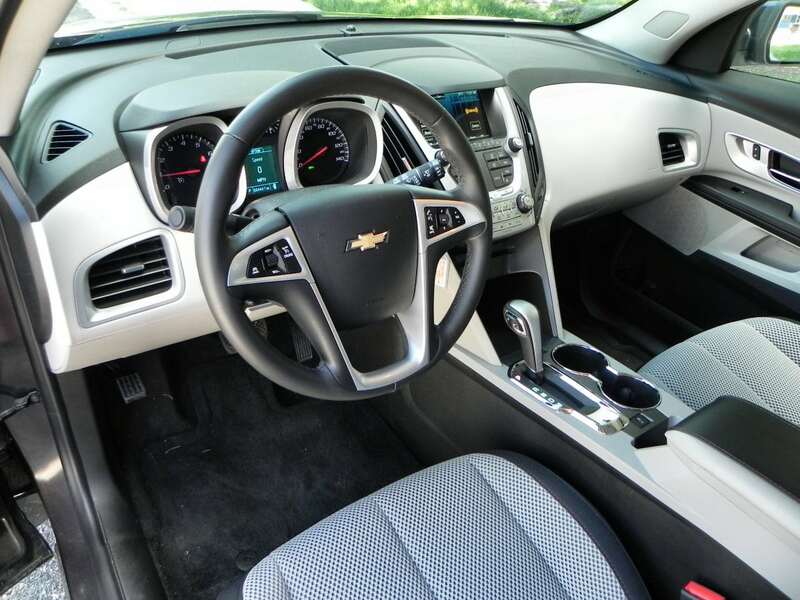 For this reason, despite the 2015 Chevrolet Equinox not being a personal favorite of ours, we give it recognition for its accomplishments. The Equinox is a solid choice in a market full of excellent options. 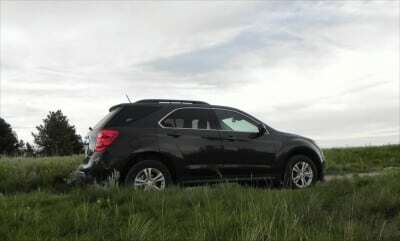 The Equinox was a manufacturer’s press loan for about a week. During that time, we put about 100 miles on the vehicle in mixed dry and rainy conditions with various passenger loads.